Dirk Pinkerton Custom Broad Head Neck Knife. 4 5/8" overall. One-piece stonewash finish 154CM stainless construction with integrated finger hole. 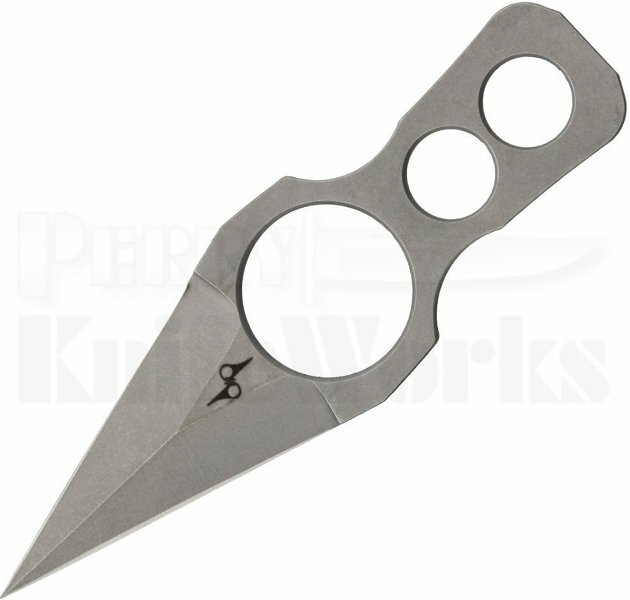 2 1/8" double edge dagger blade. Handle features machined hole cutouts. Black molded Kydex sheath.